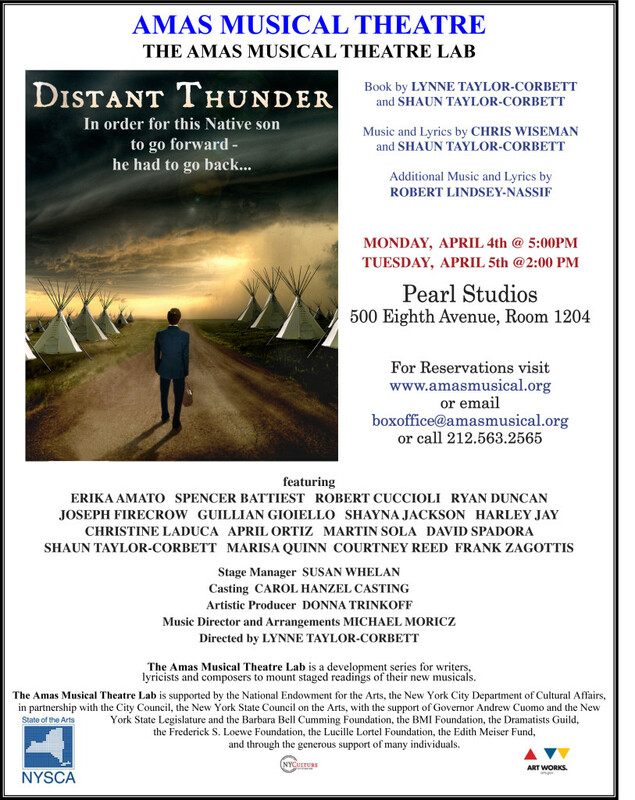 I’ll be developing the new musical “Distant Thunder” in a staged reading, set to take place this April — HERE’s the BroadwayWorld announcement. Check out the 2015 article on Playbill.com. Check out a 2013 article on Indian Country Today Media Network. Check out the Distant Thunder Facebook page.